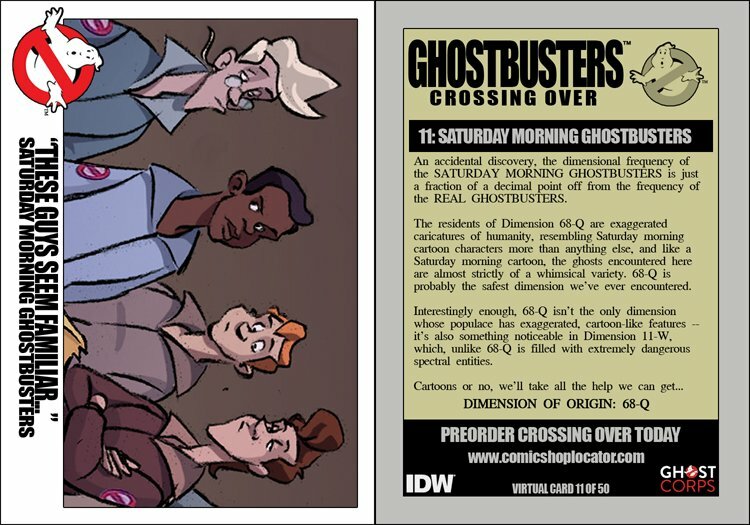 An accidental discovery, the dimensional frequency of the SATURDAY MORNING GHOSTBUSTERS is just a fraction of a decimal point off from the frequency of the REAL GHOSTBUSTERS. The residents of Dimension 68-Q are exaggerated caricatures of humanity, resembling Saturday morning cartoon characters more than anything else, and like a Saturday morning cartoon, the ghosts encountered here are almost strictly of a whimsical variety. 68-Q is probably the safest dimension we've ever encountered. Interestingly enough, 68-Q isn't the only dimension whose populace has exaggerated, cartoon-like features -- it's also something noticeable in Dimension 11-W which, unlike 68-Q is filled with extremely dangerous spectral entities.